From its emergence last October till now, Extinction Rebellion has attracted unprecedented numbers in support, and has already staged historic civil disobedience protests in the UK, with world-changing actions planned for April – but it is not without its detractors. 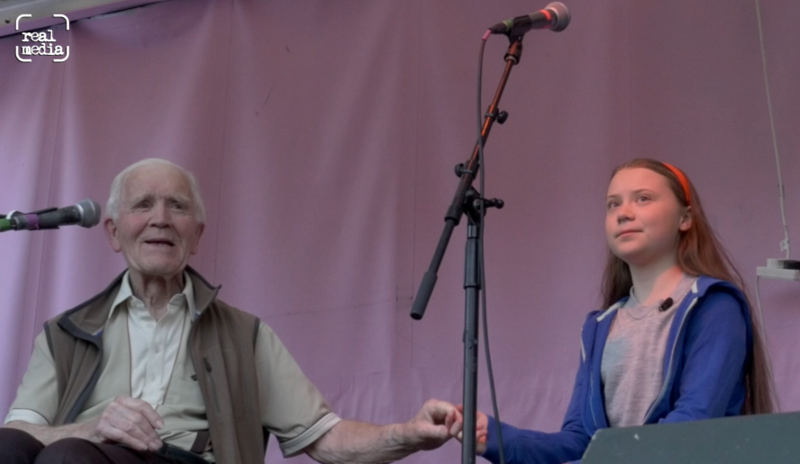 Real Media interviews two prominent organisers and co-founders, Gail Bradbrook and Roger Hallam, each speaking in a personal capacity, to reflect on a few of the issues raised. 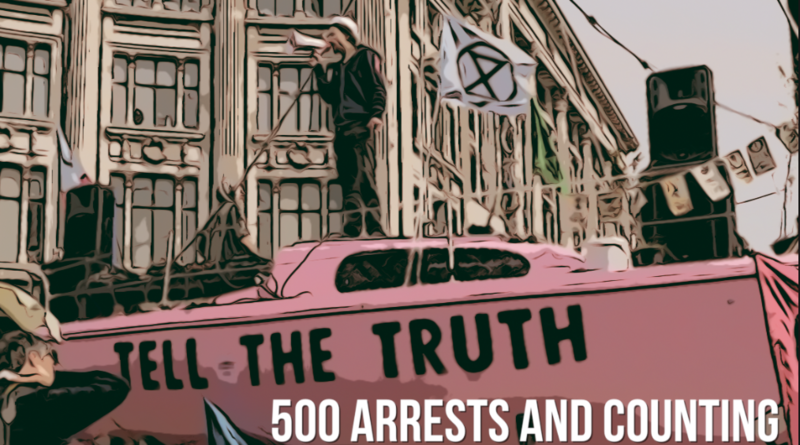 Extinction Rebellion has gained a reputation for ‘trying to get people arrested’, so Gail and Roger try to clarify and explain the thinking and science behind the arrest strategy – this is also covered in much greater detail in Roger’s lectures elsewhere. The appearance of collusion and negotiation with the police has also been a subject of concern, as well as the apparent willingness to engage with police at protests. 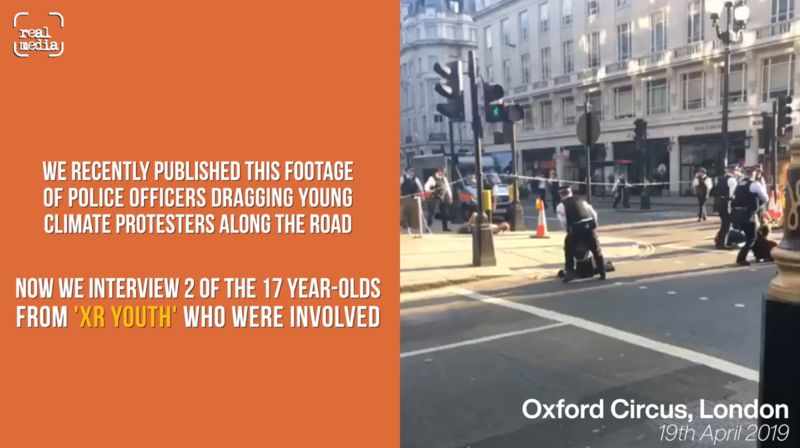 Groups like Netpol (who monitor and document policing of protests and have revealed well-researched horrific abuses over the years) and Green & Black Cross (who provide grassroots legal support to campaigners) have been extremely critical of some of these strategies, and although this interview isn’t a formal response to those criticisms it does set out some of Extinction Rebellion’s thinking. Both these groups and others have been invited to further dialogue as part of the movement’s ‘listening’ work. XR has also received criticism from the radical left for cosying up to NGOs or even turning into another NGO itself. Remember though that back in October, XR occupied Greenpeace’s offices in protest at their lack of support. 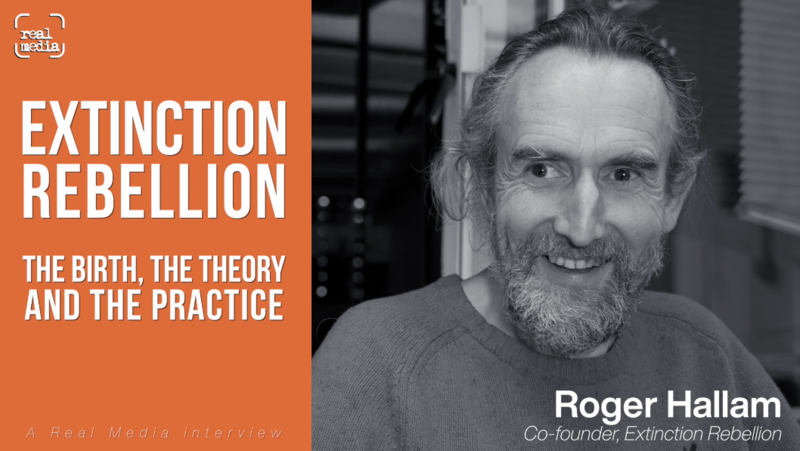 Roger points out that as XR rapidly grows, in all its decentralised glory it has to be a broad alliance, but there is a common goal of real structural change and the need for something to happen. Basically everyone is terrified of our impending extinction, and, in the words of Naomi Klein, ‘This changes everything’.